Ever visited the high alpine roads? DO it! You’ll love it! A small detour on my summer roadtrip yielded views like this! Yes, it was raining and cold, and it would have been miserable if it wasn’t for majestic vistas such as these. Grossglockner is towering 3798 metres/12461 feet over the Adriatic, and it’s the highest mountain in Austria and it’s a part of the Glocker group of the Hohe Tauern range. 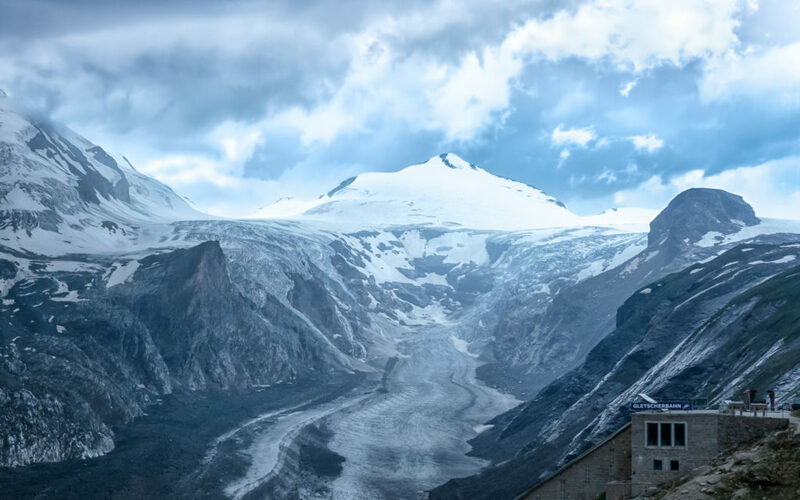 What’s seen here is the Pasterze Glacier and Grossglockner. The trip started in Italy and wound through the amazing Austrian Alps, ending at a lovely campsite just below the mountains. Just as we were starting to set up the tent, the skies opened up. There was no reason to shower that night, it was a natural rinse! Check out the loads of great info about Glossglockner / Austrian alps (and other top roads) found on the interwebs.